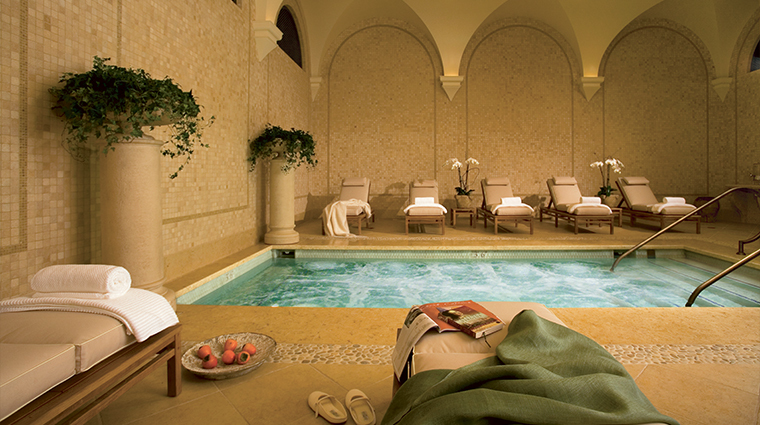 If you think The Resort at Pelican Hill is transporting, wait until you get to The Spa at Pelican Hill. Prior to your treatments, spend time in the Aqua Colonnade, a Tuscan-inspired relaxation area with an herbal steam room and sauna. You can trust your needs are paramount here. For instance, our therapist offered us lunch from the delectable spa menu while our nails were being carefully polished. Just as in Italy, gelato is everywhere, and you’ll want to give in to the Body Gelato, a seasonally inspired treatment that incorporates luxurious herbs and fruit leaving your skin refreshed and nourished. Inspired by the works of 16th-century Italian architect Andrea Palladio, the stunning design was created to replicate the look and feel of the Italian seaside in Northern Italy. 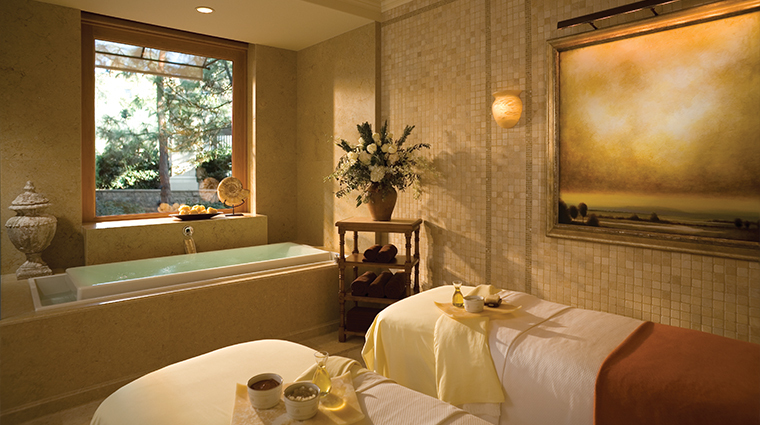 Visits to The Spa at Pelican Hill are personalized to meet one of three areas of focus: to replenish (restore balance, detoxify, rejuvenate); to invigorate (strengthen, energize, boost immunity); or to relax (de-stress, unwind, center). Upon entering the grand space, you’re greeted by a soothing water feature that evokes classic Italy, with a circular entrance area and high ceilings and pillars reminiscent of the Coliseum. A famous quote from Leonardo da Vinci could summarize the Five-Star spa experience at Pelican Hill: “Where the spirit does not work with the hand, there is no art.” And, based on our experience, we would have to agree. The spa’s boutique carries a variety of skincare products from the Skinceuticals and Natura Bissé skincare lines, including a number that are used during treatments. If you’re unable to make the scheduled appointment date and time, you must cancel at least four hours prior to your appointment to avoid cancellation fees. Holiday weekends and just about any day of the summer are high-volume days. In the event all treatment rooms are occupied, ask for an in-room massage. To truly enjoy a relaxing experience at the Five-Star spa, be sure to arrive early and take advantage of all the facilities. As part of the spa’s Balanced Wellness Collection, the spa fitness center is open from 6 a.m. to 8 p.m. and the Villa Club is open from 7 a.m. to 7 p.m. daily. 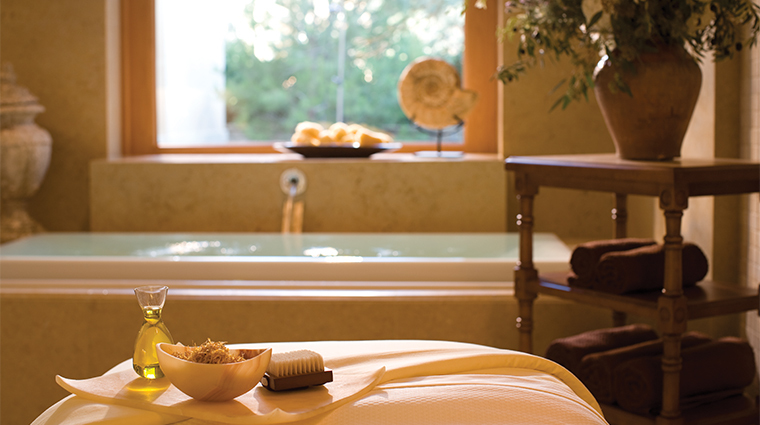 Enjoy the best of all worlds with the Global Traditions Massage. The 80-minute treatment utilizes herbs, pressure points, heat and varied massage techniques to induce relaxation, soothe muscles and relieve inflammation. If you're short on time, but are still craving some relaxation, opt for the 30-minute Pronto Body Buff. Pacific sea salts and herbal extracts combine to create a fragrant exfoliant to smooth, stimulate and deeply condition your skin in no time. 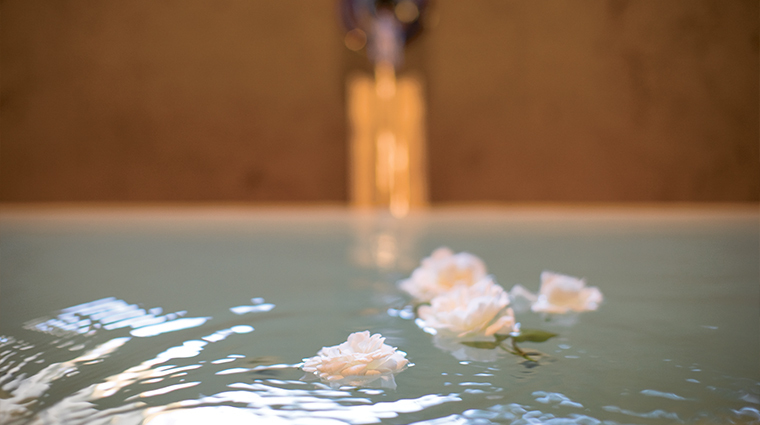 For the ultimate romantic indulgence, add on one of the Orange County spa's specialty baths to your couple's massage. If you're enjoying a late-afternoon treatment, go for the Fiore soak — arnica and lavender oils combine to induce deep relaxation and promote a restful night's sleep. 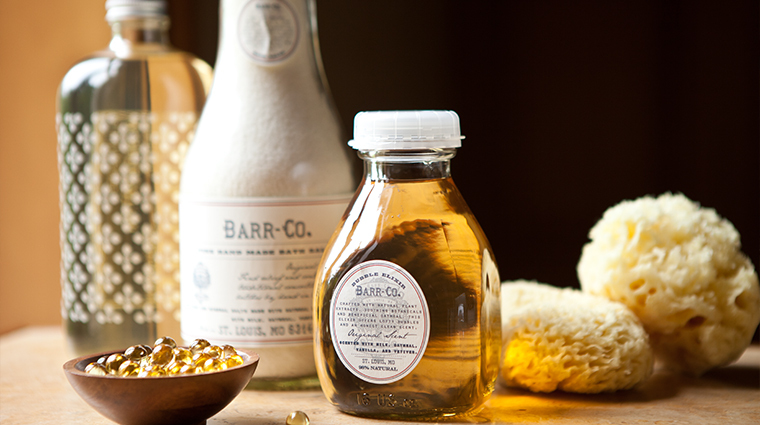 A wide array of facials provide the perfect remedy for overly sun-kissed skin. There's even an option for specifically for gents — the Men's Grooming Facial includes exfoliation, a relaxing face and scalp massage, a skin-conditioning mask and grooming services (such as eyebrow trimming) as needed. The ambience inside of the treatment rooms is peaceful and inviting, and flickering candlelight sets the mood. In addition to traditional gym equipment such as treadmills, elliptical machines, stationary bikes and weights, the spa also offers a variety of fitness classes that focus on strength training, cardiovascular exercise and flexibility. Getting a manicure or pedicure is no ordinary experience in the warm and welcoming salon. You’re free to don a spa robe and take advantage of your all-day access to the steam room, dry sauna and whirlpool.